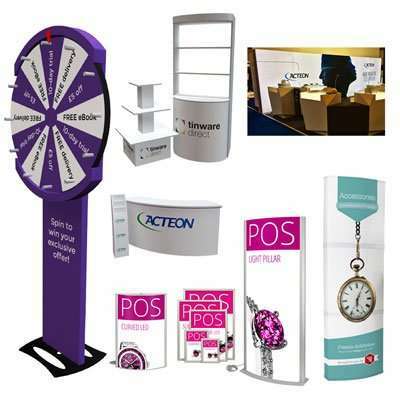 Counters are a great accessory to complete any exhibition stand. 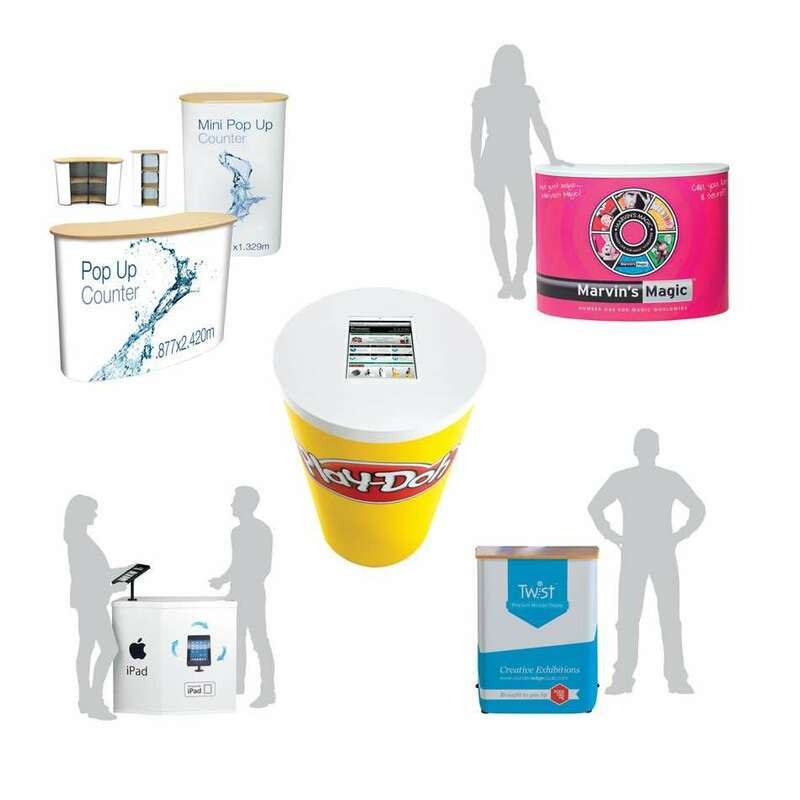 Use them to demonstrate a product, fill out forms or to simply welcome people to your stand. Designed with storage in mind, our counter shelves can hold a range of items in a tidy and discreet way. 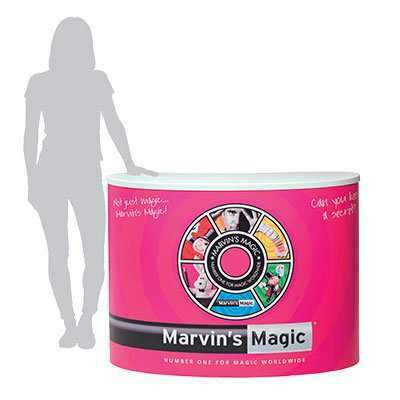 Use a custom counter graphic wrap to give a counter a polished and seamless look. 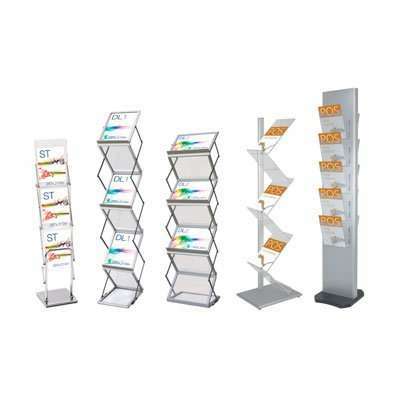 Ideal for free standing promotions, where all round graphics are required. 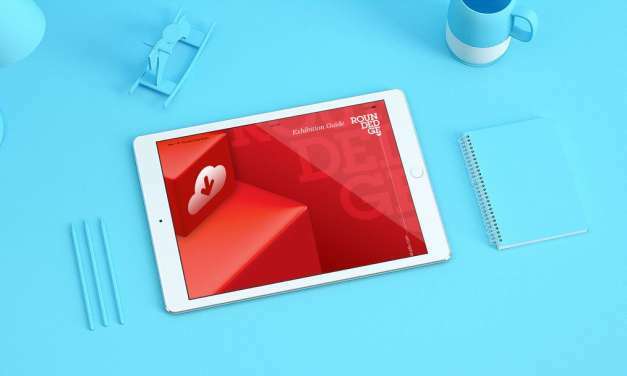 You can incorporate a tablet such as an iPad into the top of the display making the product even more versatile. 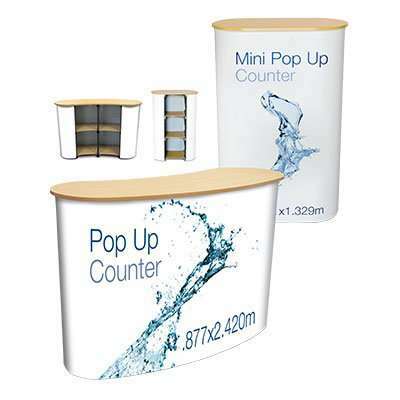 The Pop Up Counter is designed to complement the Pop Up range. 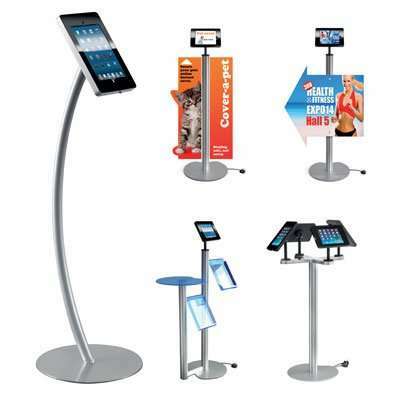 It comes in two sizes and is now able to integrate iPads via the iPad Counter Mount. The Twist counter is a great addition to the Twist range. 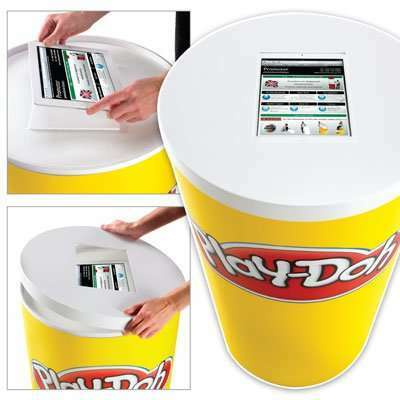 It can also work as a standalone display counter. 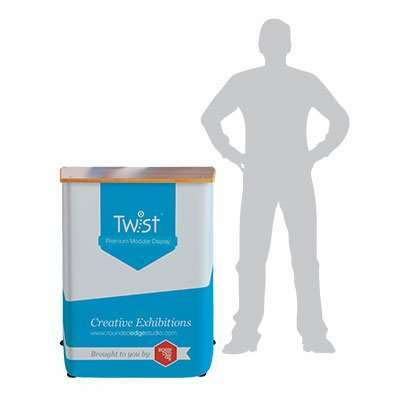 A lightweight counter that is easy to transport and assemble, with a range of counter top finishes that can complement a bespoke graphic wrap.